Superdry women’s Cassie skinny jeans. Dual flex fibre developments make these the ultimate comfort jeans. With LYCRA fibres, these jeans will keep their shape throughout the day. 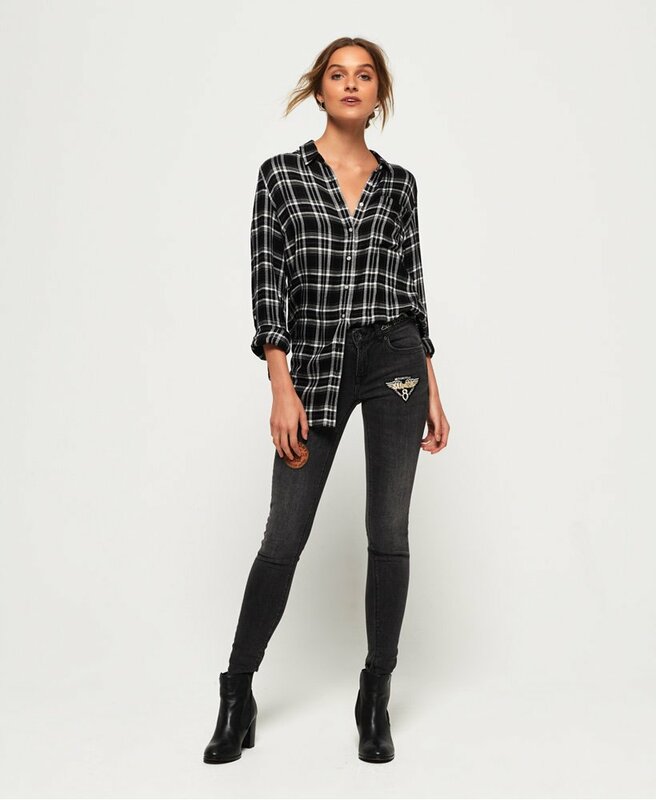 A twist on the classic Cassie jeans, these skinny jeans feature a zip fly fastening, a five pocket design and detailing down both legs. The Cassie skinny jeans are finished with a leather logo badge on the back of the waistband and a Vintage Superdry logo badge on the coin pocket. Wear these classic skinny jeans with a graphic sweater for an iconic look.